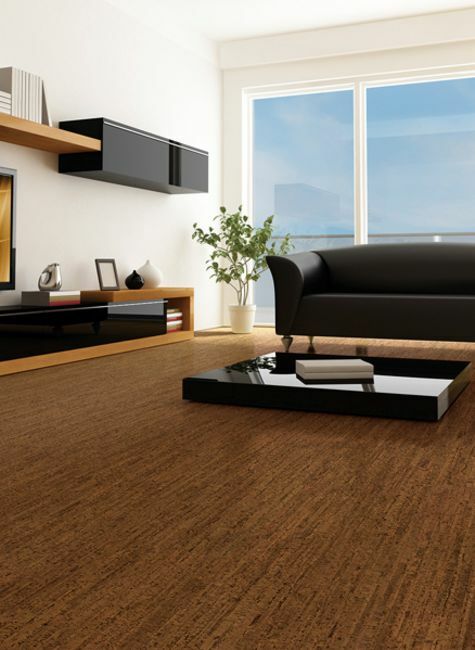 Cork flooring in Castle Rock, Littleton & Colorado Springs, CO from Colorado Carpet & Flooring, Inc.
Cork flooring is environmentally friendly and cork is considered a renewable and sustainable natural resource. These floors can be a little expensive and their installed cost per square foot can be close to a good quality ceramic tile floor. However they are definitely worth the cost when used in smaller areas such as a Kitchen, Den or Dining Room but can be used in just about any flooring application. Cork flooring in South Denver and Colorado Springs is gaining popularity and is a good choice if you can get by the initial cost. It is the same reason that cork is a perfect sound and thermal insulator which is why cork floors are used in many places like churches, libraries, museums, art galleries and in homes for perfect comfort and warmth. Even though cork comes from a renewable resource and also recyclable, Nova Distinctive Floors takes it one step forward in its manufacturing process by recycling 100% of our manufacturing by-products for our facility’s heating system. We are dedicated to protect our environment by using renewable resources to manufacture cork floors and provide a uniqueflooring system for your design needs. Cork floors do not absorb dust and because of that the maintenance of cork floors are easy and, therefore, do not cause allergies or create a risk to people who suffer from asthma or other respiratory diseases. The presence of Suberin in cork makes it impermeable to both liquids and gas. Consequently, it is not subject to grow moldy.